My team and I know what real sobriety is, and, as a result, we can also smell bull$hit a mile away. We’re so good at this, that’s why we can afford to guarantee to win every license restoration and clearance case we accept. My success depends upon my ability prove that my clients are genuinely sober, and that, in turn, requires understanding the whole range of recovery processes, and how one of them is the right fit, above all others, for any particular person. As much as we know bull$hit, we’ll call someone on it, as well. In the context of a driver’ license restoration appeal, that’s usually the test by which we decide to take a case or not. I charge fairly for my services, but that guarantee thing is no joke. I make my money winning cases the first time, not having to re-do them a second time, for free. At the end of the day, that BS detector serves me well, and protects me from taking cases I can’t win. When a person is facing an OWI charge, an honest and direct examination of his or her drinking and overall relationship to alcohol should never be ignored. Once in a while, if the stars are lined up just right, it can be the “comeuppance” a person needs, particularly as it relates to someone in denial about or otherwise trying to rationalize a relationship with alcohol that has grown troublesome. In the real world, the vast majority of people facing a 2nd offense DUI will try and explain that, no matter how things may look, they really don’t have a problem with drinking. This is where my office and I will often call BS, because, almost without exception, anyone who gets a 2nd DUI does, in fact, have a drinking problem. This can be hard to understand, because it has nothing to do with how often a person does or does not drink, either. Even if a person only drinks once in a rare while, or isn’t otherwise any kind of “big” drinker, the fact that on 2 occasions he or she has gotten arrested for driving drunk means that for him or her, drinking is something of a risky endeavor. In fact, the less a person who has racked up multiple DUI’s actually does drink, the riskier it is when he or she does so. Moreover, under Michigan’s habitual offender OWI laws, anyone convicted of a 2nd offense within 7 years is presumed to have a problem with alcohol, and will automatically have his or her driver’s license revoked. The state doesn’t waste time splitting hairs or “thinking” about any of this; when you get your 2nd DUI, you are automatically categorized as a habitual offender, automatically presumed to have a problem with alcohol, and automatically seen as an unacceptable risk on the road. The only way to win your license back is to file a license restoration appeal and prove that you have quit drinking for a “sufficient” period of time, and that you have the commitment and the tools to live out an alcohol-free life. In other words, the state has drawn its line in the sand, and after 2 or more DUI’s, the ONLY people who will even be CONSIDERED for reinstatement of driving privileges are those who can prove, by what is defined as “clear and convincing evidence,” that they have quit drinking for good. In terms of making money, a DUI lawyer is always better off simply agreeing with any client (or potential client) who goes on to explain that he or she doesn’t drink that much, and therefore doesn’t have a problem, even though the person, is in fact, facing a 2nd offense DUI charge. Not calling BS right then and there, however, won’t help such a person, nor will it help his or her case. In fact, the only thing it does help is the silent lawyer to get retained. We don’t do that kind of stuff in my office. We’re not on any kind of mission to save the world, or save anyone from themselves, but I can’t imagine the lack of character and spine a lawyer must have to not at least explain the realities to a potential client facing a 2nd offense DUI. Of course, this can and should be done diplomatically, and not confrontationally, but still, I think we have a moral responsibility to tell a person exactly how the court sees things, and how the rest of the world does too, when it comes to his or her drinking. It is important for me, not only in my role as a driver’s license restoration and DUI lawyer, but also within my capacity of “Attorney and Counselor at Law,” to honestly explore a person’s relationship to alcohol, especially that relationship has already produced 2 or more DUI’s. However, I also know that one of the fastest ways to make things worse is to try and convince someone they need help when don’t need any, or if they do, when they’re not ready. This is a clinical reality that counterbalances everything. The best way to send someone running for cover is to try and force them to see a problem they don’t think they have, or to try and get them help they don’t want. Another reality worth mentioning is that the majority of alcoholics do not ever get and maintain long-term sobriety. In other words, only a minority of people who develop a drinking problem ever get over it. Despite that, under Michigan’s OWI law, every 2nd or subsequent offender must be ordered into counseling or treatment, so the court is going to “force” some kind of help no matter how ready a person may or may not be for it. Being able and willing to help is helpful when someone is open to receiving it. Trying to force anything, however, is counter-productive. This makes the role I play in a DUI all the more important. I must act as a diplomat, and explain my client to the court, explain the court to my client, while also trying to be “helpful” in every positive sense of the word. In addition, my clinical background means that I also know and must respect the reality that when people are not ready or receptive, instead of unloading information on them, let them know that if and when they ever do want to talk, I’ll be here, ready to listen and give direction. 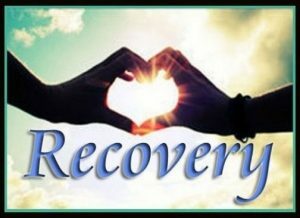 We’ll stop here for now, and pick up in part 2 with an examination of how a deeper understanding of recovery and sobriety is essential to my success in winning license appeals, to the point that I have a guarantee at the top of this blog and my website.